(Jakarta, July 21st 2014) - Never one to rest on its laurels, Archipelago International is continuing to expand its successful Aston brand by breaking new ground in Solo, Central Java. Opened in July 18th 2014, The Aston Solo Hotel will be the first property from the Aston brand to open in the area. Solo, officially known as Surakarta, is the capital of Indonesia's Central Java province. The city has been branded "The Spirit of Java" thanks to its thriving culture, heritage center and its reputation as the batik capital. Today, Solo is a bustling economic hub with some 800,000 citizens, art and education attractions, good shopping and a range of tourist facilities. Easily accessible, The Aston Solo Hotel is located on Jalan Slamet Riyadi, adjacent to the IT Mall (also known as Solo Center Point) and within close proximity to the famous Laweyan Batik village, the Kasunanan and Mangkunegaran Royal Palace, making it a perfect spot for meetings and social activities. The Aston Solo Hotel combines unique traditional values with high international standards of service. A sanctuary for both business and leisure travelers, the Aston Solo provides an effortless, comfortable atmosphere – ideal for both short stay vacations and business trips. The hotel will feature 168 rooms and suites together with a swimming pool, spa and fitness centre, a signature restaurant and a lounge. 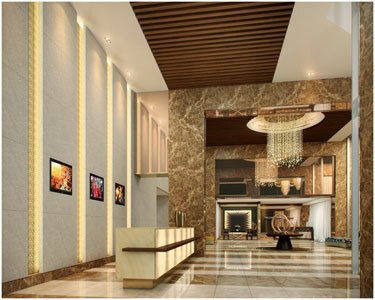 For business affairs, there is also 7 meeting rooms available and a ballroom that can accommodate up to 700 people. “With the ongoing success story of Aston in Indonesia, we are very excited to bring the first Aston property to Solo. Adding to Archipelago International's increasing presence in the area, The Aston Solo Hotel will be joining the nearby favehotels in Adi Sucipto and Solo Baru. Solo is a very unique city where tradition and culture blend perfectly, so we are confident that both our tourist and business travelers will thoroughly enjoy this developing destination.“ Said Norbert Vas, VP Sales & Marketing. Seen in the picture - Lobby of Aston Solo Hotel, Solo - Central Java. Seen in the picture - Deluxe Room of Aston Solo Hotel, Solo - Central Java.